Do you like licorice? No? Click away now. This review isn’t for you. Do you have adverse reactions to hard candy? Yes? Again, get out of here. Nothing I will write will change your mind. 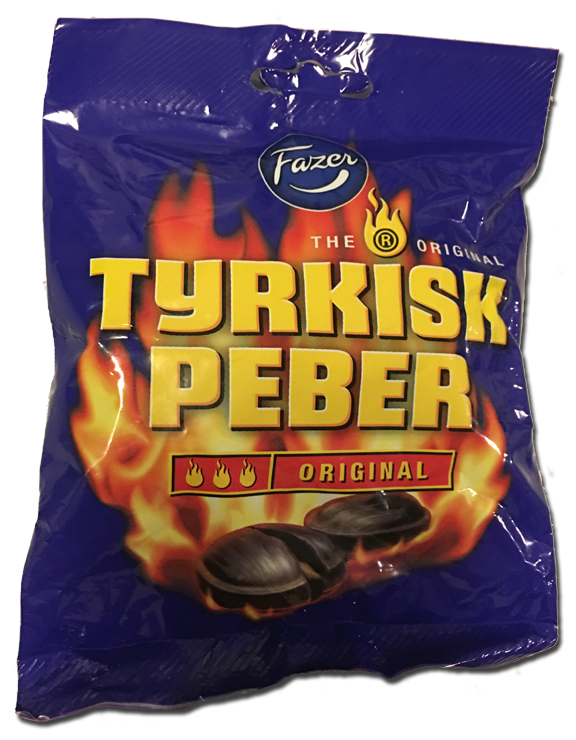 But I gotta tell you – I love these Tyrkisk Peber candies. I don’t know how to pronounce them, I had never even seen or heard them until minutes ago, but I’m putting them at the top of my Favorite Licorice List. Nice job Finnish candy maker Fazer. The licorice flavor is so aromatic and deep and thick without being too metallic. 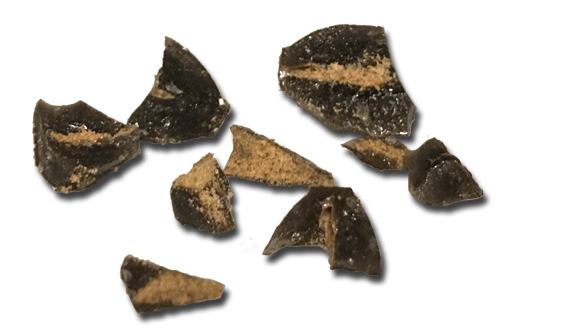 Sometimes salty European licorice can be iodine-y, with a strange salty after taste. These are salty, and peppery, but not ridiculously so. The back of the package shows a meter of ‘hotness’ — from 1 to 3 stars — and these are said to be the hottest at 3 stars. 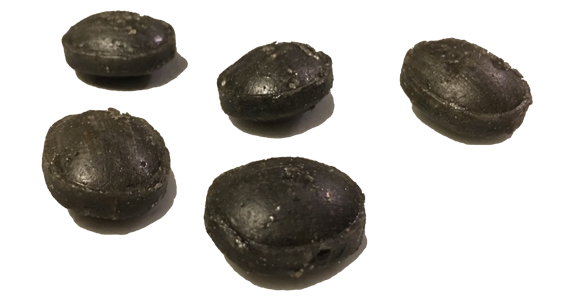 Fazer says the candy’s “hard shell conceals a surprise: the breathtakingly peppery filling explodes in the mouth like a shell red from the gun of a pirate ship!” Funny. The hot powder in the middle is indeed strong as hell, and there’s not too much of it – just the right amount. But again, these aren’t for your friends that can barely take black licorice. This is for us pro’s. And these are damn good. Procure. you’ve come to the right site! we love licorice, and think ‘mericans are dum. oh wait. we’re ‘mericans. whoops.